Next post is Guest Post ~~~ you will not want to miss it! Tonight I have not wanted to spend my time illustrating John’s imagery and teachings against the important backdrop of Second Temple Judaism or against the backdrop of important sources from the Graeco-Roman world. Although I do enjoy doing that, and I did some of that in my recent commentary on the Letters to the Seven Congregations of Revelation, that was not my goal tonight. Nor did I want to do an exegesis of the texts of Rev. 21-22, although that is a crucial step in the process of good and reliable Bible study. Rather, I wanted to highlight a few points on John’s spiritual agenda and then make some very needed applications for God’s people in the early 21st century. I began with some brief comments about interpretive pitfalls. Then I discussed a few of the contemporary issues that Christians in many places either can not or will not address with candor from certain texts of Revelation. 1. There is, first, the need for the church to re-embrace a biblical view of the judgment of God. As believers we will certainly disagree on how, on when, and on why God reveals his righteous judgment, both in history and in eternity. My hope was to reclaim John’s much needed insight that the kingdom of this world can only become the kingdom of our Lord and his Christ by the decisive destruction of Babylon, in all its pretentious and dystopian manifestations. The same prophetic voice that offers the vision of the new heaven and new earth gives the gruesome scene of the destruction of kingdoms that compete against the sole Ruler of the Universe. 2. Second, I wanted us to see that the focal point of heaven is not self-gratification or, God forbid, entertainment. Nor do I see any evidence in John’s vision about ecological primitivism or purity. In John’s spirituality and theology the goal is our participation in the glory and beauty of God. 3. Third, John, like Paul (Rom. 6; 2 Thess. 2:13), teaches that holiness and sanctification are necessary components of our participation in the new heaven and new earth. In Revelation 1:3 John writes, “Blessed is the one who reads aloud the words of this prophecy, and blessed are those who hear it and take to heart what is written in it.” I hope tonight you have been blessed by having heard some of John’s prophecies and by taking to heart what is written in them. Stories from Acts, like you have never heard them before. Some of you know that I require students to do multi-media projects in most of my courses now. Often they are videos. My last offering of the book of Acts gave one student the opportunity to do some songs. Harrison Dell came up with these lyrics and ideas and his brother-in-law is James Easter worked on putting the music together, to tunes you might recognize. If you wish to contact Harrison about this musical adventure and the several other songs he did for my Acts course, you can contact him at: hdell@downtownchurch.org . These audio files are a little quirky 😦 . Let them finish buffering and they work better. James M. Hamilton Jr. has a nearly tedious book on the Biblical Theological theme: God’s Glory In Salvation Through Judgment in which he contends that Biblical Theology can be seen as the history of the Seed of the woman crushing the skull of the seed of the serpent. Salvation cannot take place without judgment. The Glory of God is seen where justice and mercy meet at the Cross where the question, “How can The Righteous God dwell with sinful man?” is finally answered. Based upon your brief summary, it sounds like a book organized around themes that became very central to the Protestant movement. I imagine that the book of Revelation would not fit comfortably into these categories, at least as proposed as central categories to the book of Revelation. Just because a concept is a good doctrine, it does not mean it has to play a significant role in every book of Scripture. Obviously I need to look at Hamilton’s book! 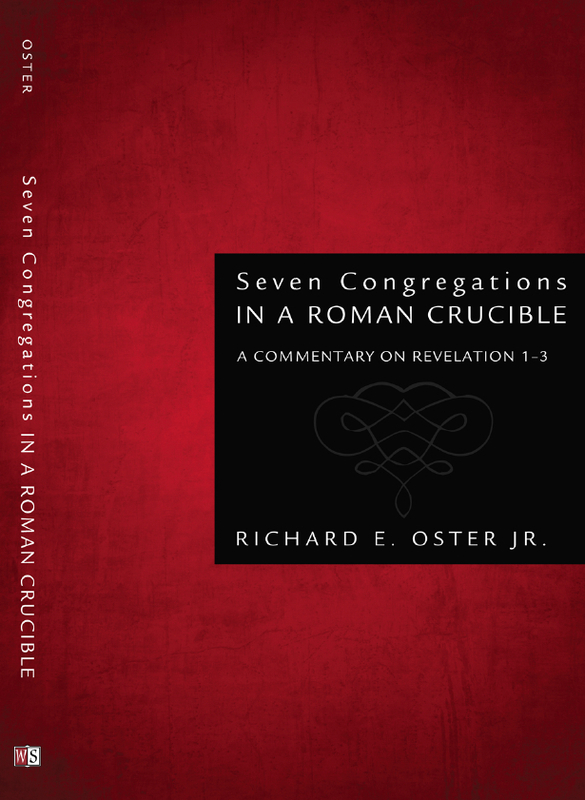 Dr. Richard Oster has poured lots of energy into his commentary on Revelation. Commentary on the first three chapters already printed. Check out his words here and the songs his students made. Pretty awesome. content here. Your website can go viral. You need initial traffic boost only.